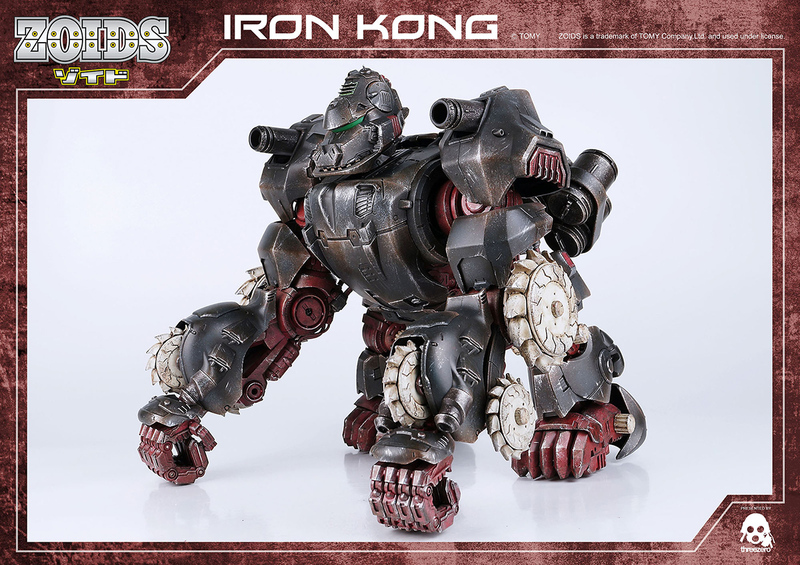 Tomy still hold the Zoids franchise but working under license Threezero have put together this impressive 1/72 scale ZOIDS Iron Kong. 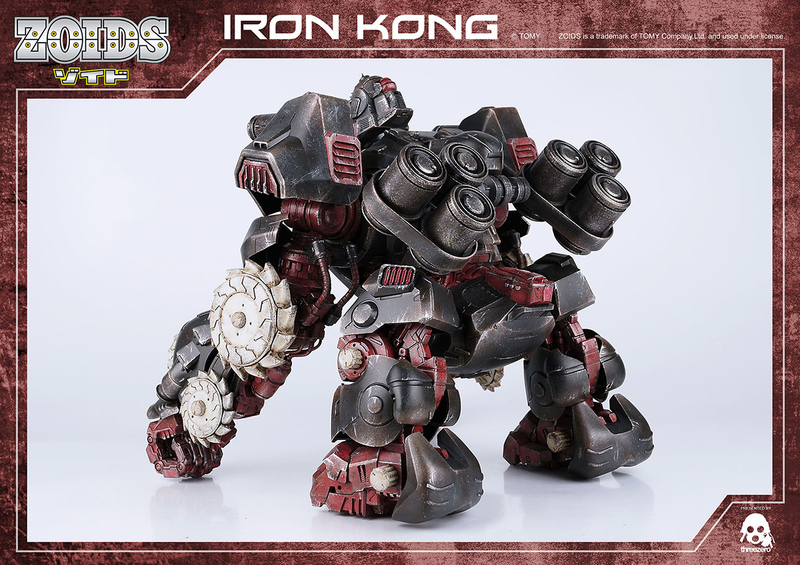 The model measures 10.2 high and 12.6 inches wide. There’s an impressive 50 points of articulation which include the fingers, a mouth that can be opened, a rotatable circular saw and an extendable backpack with turnable power pack. You can see the detail in these photos and the cockpit which opens to show two pilots. The eyes and the cockpit also light-up. 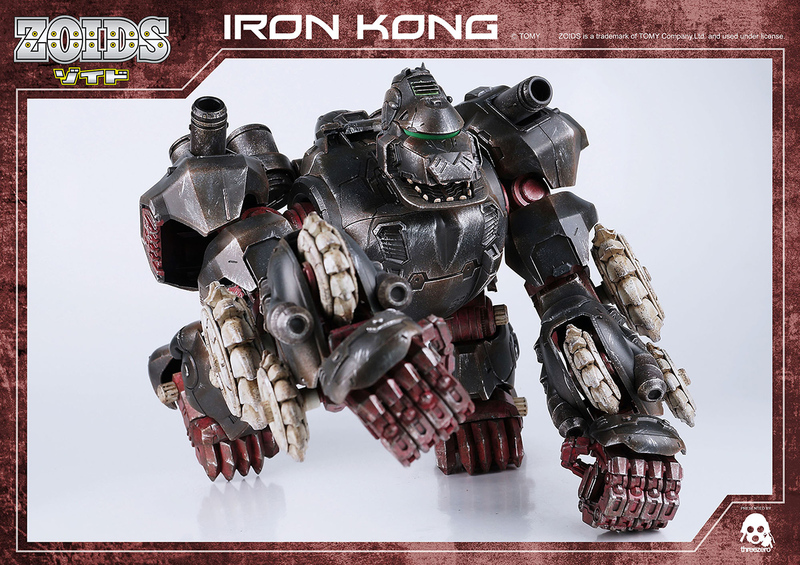 There’s no doubt, this is one mecha-gorilla who looks ready to smash down any aliens in his way. 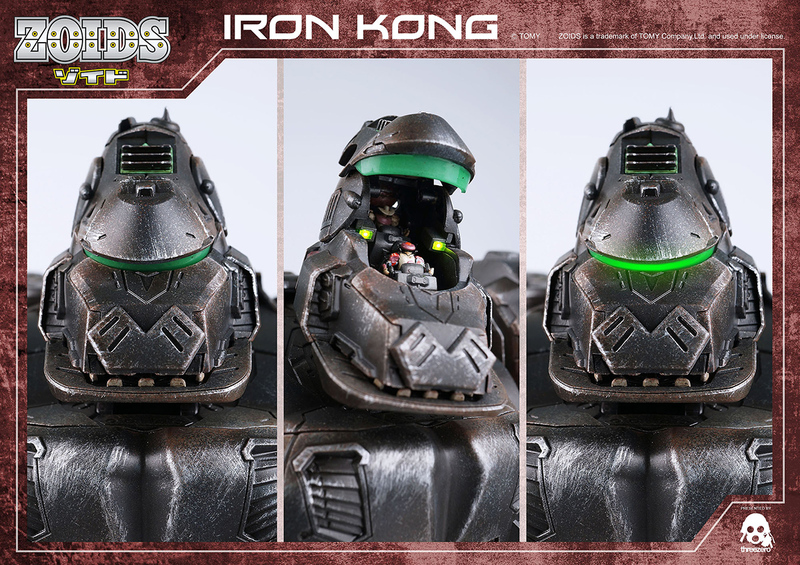 You can pre-order Iron Kong for $300 today.